The miraculous stem cell is the body's dreamer – it can grow up to be whatever it wants to be. Plush from all new materials. Stuffed with polyester fiber fill. 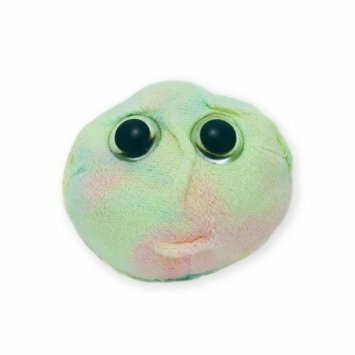 Surface washable: sponge with water & soap, air dry.Each plush microbe includes a printed card with fun, educational and fascinating facts about the actual microbe or cell. Every product meets or exceeds U.S. and European standards for safety. For ages 3 and up.